You are here: Home » Announcements » February Star Champ 2016 – Musing with music! February Star Champ 2016 – Musing with music! This month, our Star Champ Programme will enjoy the musical mentorship of two wonderful musicians and music teachers, Daniel Chim and Tan Yee Lyn. The children will get an opportunity to understand what a musician and music teacher does. At the same time, our guest speakers will help the children kickstart their interests in music. Here’s a little snapshot of the profile of Daniel Chim and Tan Yee Lyn! Tan Yee Lyn has teaching experience of over 10 years. She has a Bachelor’s Degree in Science (Medical Bioscience) from Monash University, is an Associate in Music, Australia (AMusA) of the Australian Music Examinations Board for Piano, an Associate of Trinity College London (ATCL) for Violin Recital, undergone Encore Music Education teacher training course for Music Maestros 1 & 2 for violin and completed The Sassmannshaus Tradition Teacher Training for violin. She believes that no one approach is suitable for all and thus, tailors lessons to what works best for children instead of sticking to one system. She believes that music comes more naturally if started at an early age, so she makes lessons comfortable so the child learns to enjoy music, instead of fear or dread it, and slowly builds their confidence with the instrument. She hopes that parents will see music as more than just an extracurricular activity that can take the backseat to other subjects as music should be part of an overall holistic education (studies have shown learning music helps develop certain areas of the brain too). 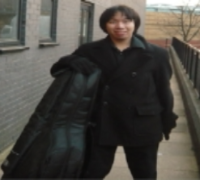 Daniel Chim is an accomplished cello player and music teacher, having completed both his ABRSM Grade 8 Music Theory and Cello at the age of 18 before studying at the Leeds College of Music, majoring in performance and in music education. After completing his Bachelor of Arts in 2013, he enrolled into the University of Queensland to continue his studies where he majored in music education and research. In 2015, he completed his Master of Music and is now working as a cello teacher in Malaysia. He has been teaching students for the past 7 years and continues to do so. He is currently a Cello Teacher at Piano Station and is also playing for the Selangor Philharmonic Orchestra. Would you like to be our Star Champ? Please contact Aileen at 013-2928251. We’d love to hear about what you do. « Chinese New Year Term Break – 6th February (Saturday) to 12th February (Friday).